Hillary Clinton's been writing to me! That's right, she's sending personal e-mails directly to me. With any luck they'll be on WikiLeaks before you know it and I'll be as famous as Ken Bone, but actually a little cuter even at this age. "Perry," the Democratic candidate for President of the United States wrote to me, "I'm so proud you're on our team!" She's proud of me! Do you believe that? Hillary Clinton is proud of me! Frankly I've never even met Secretary Clinton or been so fortunate as to ever go through a scandal with her. Perhaps it was my vote for George McGovern in 1972? Or that I voted for Michael Dukakis in 1988 except that was only because I got him confused with Olympia Dukakis? Or maybe it was the letter of appreciation I wrote to President Clinton for doing it with a Jewish chick in the 90’s? I guess probably not that one. "Because we know what a strong advocate you are for Hillary and the future of our country, Perry, we’ve been thinking of you. Therefore I’m asking you to chip in $1 or more to protect our country’s future right now." Yep, they all really do know me. Except or the "or more" part. Oh, I almost forget. Al Franken, the SNL comic turned Senator from Minnesota actually prepared a video about the upcoming race just for me! I'm certainly honored. Take a look by clicking here, but don’t share it. I’ll need Al’s approval for that first. You know, all this attention from Hillary Clinton and the others is just wonderful and I’m sorry I’m way behind in writing back to each one, although I did send Al a few jokes; maybe I can get his old job. One thing, however, does bother me. 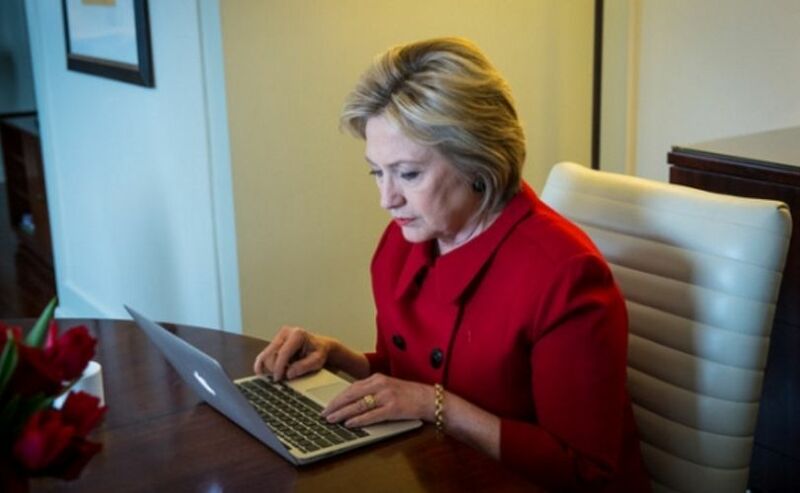 Shouldn’t Hillary be out campaigning instead of writing to me? Hillz could definitely use a few new jokes. I feel like her opponent has taken all the good material and turned himself into the class clown. Seriously, who's behind The Bone anyway. He must be part of rigging the election.f Anonymous Tracey. I got a couple of letters from The Donald. Evidently, he's decided not to fund the campaign entirely out of his own pocket like he originally promised. While neither Connie nor I were able to provide financial support (the poor guy's so broke he can pay taxes), we did supply him your name as mailing address as a source of funding. So far, I haven't heard him make a lot of anti-Semitic remarks other than the common locker room variety and a few jokes about trying to French kiss a Jewish girl, but not being able to get past her nose.